Our prices (see below) are the best value in Hertfordshire! You will find us on the High Street in between Harry's Traditional and British Heart Foundation, and opposite The Misty Moon public house. We're about 4 shops down from the entrance of The Spires shopping centre. You can find our private ear wax removal Borehamwood location here. You can get directions to private ear wax removal Borehamwood from Google Maps here. Due to high demand, microsuction ear wax removal in Barnet is strictly by appointment. You can book a microsuction appointment in Barnet online here, or click on the Book Now button below. Private ear wax removal in London on Saturday is available at our out of hours clinic in Baker Street NW1 from 10am until 4pm. Please try to book by 5.30pm on Friday evening, as Saturday microsuction appointments are very popular. You can call us on Saturday between 8.30am and 1.00pm to book, as we sometimes have same day ear wax removal appointments available. Book online now to reserve your private microsuction appointment in our Saturday clinic. The best place to park is in the Spires Shopping Centre multi storey car park, and then it will take about 4 minutes to walk through the shopping centre to the High Street. From the shopping centre entrance, turn left and we are about 4 shops down. Parking costs £1 per hour, or £5.50 all day. Book your private earwax removal appointment in Borehamwood, and say goodbye to ear wax! Our private ear wax removal clinic in Borehamwood also serves clients in , Well End, Elstree, Aldenham, Radlett, Bushey, Stanmore, Shenley, Edgware, Arkley, Barnet, Edgware, Totteridge, Whetstone, Potters Bar, South Mimms, Hadley Wood, Cockfosters, High Barnet, Chipping Barnet, East Barnet, and South Barnet. Borehamwood is a growing town just inside the M25 in South Hertfordshire, and is an increasingly popular choice of residence for families and city professionals alike. Although only 25 minutes from King’s Cross St Pancras by train, this south Hertfordshire town has a suburban atmosphere with quiet residential streets. Coming south on the A1, you know you're approaching Borehanwood when you go past the Dinosaur Safari Adventure Golf on your left. As you turn off the A1, you can either go in to the Adventure Golf (which is strictly in Arkley), turn off towards Barnet, or continue on to Borehamwood. If you continue to the next exit, you will see Morrisons on your right, and on your left Shell Stirling Corner and Miller & Carter steak pub. If you turn left here you will be heading through Arkley to Barnet, and if you turn right you will head in towards Borehamwood. Go straight on, and in about 15 minutes you'll be in Edgware. Probably the most famous landmark in Borehamwood is Elstree Studios, which surprisingly isn't in Elstree - it's in Borehamwood! Elstree Studios is right next to the Tesco Extra Borehamwood, and is home to many well-known British shows, including Eastenders, Holby City, Big Brother, Celebrity Juice and Who Wants To Be A Millionaire. Many famous movies have been filmed at Elstree Studios, including The Shining, Indiana Jones, Superman and Labyrinth . If you are lucky, you might catch one of the TV or film stars popping in to the nearby Starbucks in between filming scenes. Borehamwood has much to offer people of all ages. There are a number of excellent primary and secondary schools in and around the town, including Cowley Hill School and Woodlands Hill Primary School, both of which have received good Ofsted reports. Nearby Aldenham Country Park provides plenty of green space for families to enjoy, and the town centre has several high street shops, restaurants and bars, and a small retail park known as The Boulevard. Borehamwood also has a local theatre, cinema, several gyms, a swimming pool, and a soft-play centre for children. One major attraction in Borehamwood is the Elstree and Borehamwood Museum, which shares the history and legacy of almost 100 years of film and television in Borehamwood and Elstree. For an entertaining evening out, visit the Ark Theatre which puts on a range of work from touring production companies and local community groups; acts including drama, tribute bands, dance, and comedy. Fans of retail therapy can enjoy Borehamwood Shopping Park, which offers a vast range of retail stores, coffee shops and restaurants. Ear wax (medical name cerumen) is made by specialised glands in the outer two thirds of the ear canal. It helps protect the ear by moisturising the skin in the ear canal, providing a physical barrier against infection, and by being acidic it has antibacterial properties. Because it is sticky, it helps to catch dust, pollen and small insects and prevent them from establishing themselves in your ears! The skin in your ear canal grows differently to the skin that covers the rest of our body, and grows along the ear canal from the ear drum to the canal entrance. It acts like a conveyor belt, bringing the ear wax, and any dust, pollen or other debris with it, out of the ear. This way, the ear canal cleans itself naturally. Why Do Ear Wax Blockages Happen? Typically, ear wax blocks the ear canal and becomes impacted when it is pushed back against the natural outward movement that is part of the natural cleaning process. This can be done using cotton buds, matchsticks, paper clips, rolled up tissue, hair pins amongst other objects. Other causes of ear wax impaction can be narrow or winding ear canals, excessive, excessively dry or excessively sticky ear wax production. Everybody has an S bend in their ear canals - this is to reduce the chance of twigs and other objects from perforating the ear drum. However, ear wax can build up on very sharp bends in the canal. Where the ear canal is very narrow, there is less space for ear wax to accumulate, and this can lead to frequent ear wax blockages. Excessive, sticky, or dry ear wax production can also lead to impacted ear wax. The most obvious symptom of a blocked ear is a partial or total loss of hearing, but other symptoms can include pain, itching, a feeling of fullness, or hissing, whooshing, buzzing or ringing sounds. Unfortunately, the size and shape of your ear canal, as well as the amount and type of ear wax is genetically determined. In order to reduce ear wax build up we recommend applying one squirt of Earol (a sterile, sealed olive oil spray) into each ear once or twice a week. If you have a blocked ear, we recommend you apply two squirts of Earol twice or three times a day for three or four days and then attend one of our expert microsuction ear wax removal clinics. You can book an appointment at our Barnet microsuction ear wax removal clinic here. Please don't put cotton wool in after applying Earol, as it will just absorb the olive oil and stop it from doing its work. We don't recommend self-syringing as this can push the ear wax further into your ear. We particularly recommend you avoid ear candles, as these do not remove ear wax and can potentially cause serious problems. We have an article on ear candles and their pitfalls here. If you'd like to read about the various methods of ear wax removal, including syringing and microsuction, we have an article on different ear wax removal methods here. If you wear hearing aids, to prevent oil and wax from blocking up your hearing aids just apply the Earol at night, and then wipe out the entrance of your ear canal with a tissue in the morning before you put your hearing aids in. You'll ideally need to use Earol for five to eight days before your microsuction appointment. So, after reading the above if you have wax in your ear and would like it removed safely without any water being syringed or jetted into your ear, you may want to choose to have your ears microsuctioned. We provide the best value ear wax microsuction service near Borehamwood, provided by HCPC-registered Audiologists and NMC-registered nurses. We take payment for the appointment up front - we are sorry that we have to do this, but many patients have booked and not turned up, which is frustrating for other patients who cannot get an appointment. Our Audiologist or Specialist Ear Care Nurse will inspect your ears using surgical loupes or an otoscope to determine whether your ear canals are full of wax and if microsuction is therefore necessary. 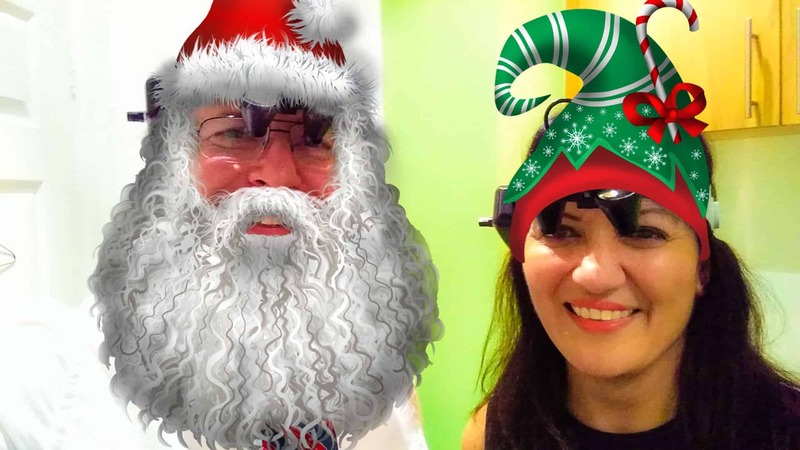 If there is no ear wax, we will give you advice and/or a hearing test as appropriate. If there is wax, we will remove the ear wax expertly using a low power medical suction unit with a tiny, sterile 2 mm suction tube on the end. This is so gentle, it feels like barely even a kiss on the cheek. Sometimes, despite applying Earol for several days, the ear wax is too stubborn to be removed by microsuction, so we may use special disposable instruments, such as a Jobson Horne Probe, or a St Barts or Rosen Cerumen Hook. Whatever method we use, you safety is our top priority at all times. If you would like to book a microsuction appointment in Barnet, click here. We never use a Propulse Ear Irrigator, which has now largely replaced the ear syringe, as according to the British Medical Journal (article here) irrigation or syringing is associated with a high risk of complications, such as failure of wax removal or further impaction of the wax, ear infection, trauma to the ear canal, or perforation of the ear drum. Other complications of syringing that have been reported are pain, tinnitus, vertigo (dizziness), and loss of balance or hearing. Our prices (see below) are the best value in Central London! You will find us on Melcombe Street in between Baker Street and Marylebone Stations. There is also an entrance via Berkeley Arcade, which is next to Pret A Manger. The consulting room is on the ground floor, and wheelchair access is possible via the entrance in Berkeley Arcade. You can find our private ear wax removal in london location here. You can get directions to private ear wax removal in london from Google Maps here. You can get information on other London microsuction clinic locations here. Due to high demand, microsuction ear wax removal is strictly by appointment. You can book a microsuction appointment online here, or click Book Now below. Private ear wax removal in London on Saturday is available at our out of hours clinic from 10am until 4pm. Please try to book by 5.30pm on Friday evening, as Saturday microsuction appointments are very popular. You can call us on Saturday between 8.30am and 1.00pm to book, as we sometimes have same day ear wax removal appointments available. Book online now to reserve your private microsuction appointment in our Saturday clinic. There is on street pay by phone parking on Melcombe Street. There is also permit holder only parking, so please double check you are in the right parking bay before leaving your vehicle. The cost of parking is £2.40 / hour. Melcombe Street is outside the congestion charge zone. If there is no on street parking, there is also an underground car park at 170 Marylebone Road. The clinic is about 1 minutes' walk from the Baker Street North entrance of Baker Street station. Baker Street station is served by five different lines: the Jubilee, Metropolitan, Bakerloo, Hammersmith & City and Circle lines. On the Circle and Hammersmith & City lines it is between Great Portland Street and Edgware Road. On the Metropolitan line it is between Great Portland Street and Finchley Road. On the Bakerloo line it is between Regent's Park and Marylebone, and on the Jubilee line it is between Bond Street and St. John's Wood. Baker Street is in Tavelcard Zone 1. After arriving at the platform, make your way to the exit. As you exit the ticket barriers, keep right and head towards the Baker Street (North) / Regents Park exit. Just keep right all the way and you will go past Boots and arrive at the Baker Street station exit. On the other side of the road, you will see a Pret A Manger. To the left of the Pret a Manger is an arcade called Berkeley Arcade. Carefully cross the road and enter Berkeley Arcade. 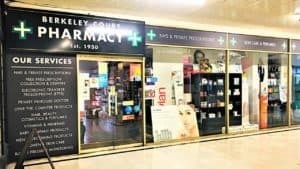 Once in Berkeley Arcade you will see Berkeley Court Pharmacy ahead of you. Book your private earwax removal appointment in Central London, and say goodbye to ear wax! Our private ear wax removal clinic in London also serves clients in London, Marylebone, Baker Street, Edgware Road, Paddington, Regents Park, Great Portland Street, Bond Street, Maida Vale, Lancaster Gate, Oxford Circus, Goodge Street, Wareen Street, Euston, Euston Square, Kings Cross, St Pancras, Swiss Cottage, Finchley Road, Chalk Farm, Tottenham Court Road, Covent Garden, Leicester Square, Marble Arch, Green Park, Picadilly Circus, Charing Cross, Westminster, Embankment, Waterloo, St James Park, Green Park, Lancaster Gate, Queensway, Bayswater, Knightsbridge, High Street Kensington, Notting Hill Gate, Holland Park, Royal Oak, Westbourne Park, Kilburn, Belsize Park, Hampstead, Kentish Town, Angel and Camden Town. * Prices shown include a £5 discount for micro suction appointments booked online. Appointments booked by telephone are £5 more than the prices shown. 36 hours notice required for alterations and cancellations. Thank you. Unfortunately, the size and shape of your ear canal, as well as the amount and type of ear wax is genetically determined. In order to reduce ear wax build up we recommend applying one squirt of Earol (a sterile, sealed olive oil spray) into each ear once or twice a week. If you have a blocked ear, we recommend you apply two squirts of Earol twice or three times a day for three or four days and then attend one of our expert microsuction ear wax removal clinics. You can book an appointment at our london microsuction ear wax removal clinic here. Please don't put cotton wool in after applying Earol, as it will just absorb the olive oil and stop it from doing its work. We don't recommend self-syringing as this can push the ear wax further into your ear. We particularly recommend you avoid ear candles, as these do not remove ear wax and can potentially cause serious problems. We have an article on ear candles and their pitfalls here. We provide the most affordable ear wax microsuction service in London, provided by HCPC-registered Audiologists. We take payment for the appointment up front - we are sorry that we have to do this, but many patients have booked and not turned up, which is frustrating for other patients who cannot get an appointment. Our Audiologist will inspect your ears using surgical loupes or an otoscope to determine whether your ear canals are full of wax and if microsuction is therefore necessary. If there is wax, we will remove the ear wax expertly using a low power medical suction unit with a tiny, sterile 2 mm suction tube on the end. This is so gentle, it feels like barely even a kiss on the cheek. Sometimes, despite applying Earol for several days, the ear wax is too stubborn to be removed by microsuction, so we may use special disposable instruments, such as a Jobson Horne Probe, or a St Barts or Rosen Cerumen Hook. Whatever method we use, you safety is our top priority at all times. If you would like to book a microsuction appointment in London, click here. Our prices (see below) are the lowest in North East London! 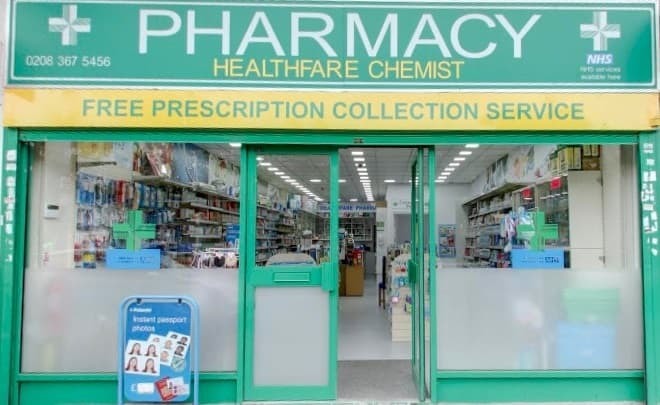 You will find us on Colman Parade (Southbury Road) about 1 minute from the entrance of Enfield Town station. You can find our private ear wax removal london EN1 location here. 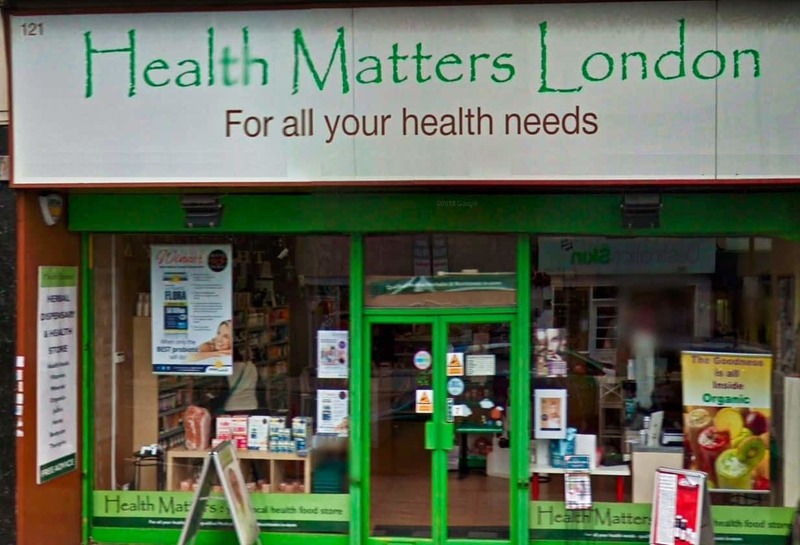 You can get directions to private ear wax removal london EN1 from Google Maps here. You can book a microsuction appointment online here, or click on the Book Now button below. There is up to 2 hours on street pay and display / pay by phone parking on Colman Parade. There is also long stay pay and display / pay by phone parking at the Genotin Road car park about 4 minutes' walk away. Book your private earwax removal appointment in Enfield, and say goodbye to ear wax! Our private ear wax removal clinic in Enfield also serves clients in London, Winchmore Hill, North London, Palmers Green, Bounds Green, Wood Gree, Alexandra Palace, Turnpike Lane, Bush Hill Park, Southbury, Freezy Water, Chase Side, Gordon Hill, Botany Bay, Worlds End, Oakwood, Winchmore Hill, Barnet, Ponders End, Southgate, Waltham Cross, Waltham Abbey, Cockfosters, Arnos Grove, Potters Bar, Cuffley, Cheshunt, Chingford, Loughton, Buckhurst Hill, Woodford, Chigwell, Walthamstow, Wood Green, Harringay, Goff's Oak, and Northaw. Follow the link to find the nearest Microsuction Ear Wax Removal Clinic to you. Unfortunately, the size and shape of your ear canal, as well as the amount and type of ear wax is genetically determined. In order to reduce ear wax build up we recommend applying one squirt of Earol (a sterile, sealed olive oil spray) into each ear once or twice a week. If you have a blocked ear, we recommend you apply two squirts of Earol twice or three times a day for three or four days and then attend one of our expert microsuction ear wax removal clinics. You can book an appointment at our Enfield microsuction ear wax removal clinic here. Please don't put cotton wool in after applying Earol, as it will just absorb the olive oil and stop it from doing its work. We don't recommend self-syringing as this can push the ear wax further into your ear. We particularly recommend you avoid ear candles, as these do not remove ear wax and can potentially cause serious problems. We have an article on ear candles and their pitfalls here. We provide the most affordable ear wax microsuction service in Enfield, provided by HCPC-registered Audiologists and NMC Registered Nurses. We take payment for the appointment up front - we are sorry that we have to do this, but many patients have booked and not turned up, which is frustrating for other patients who cannot get an appointment. Our Practitioner will inspect your ears using surgical loupes or an otoscope to determine whether your ear canals are full of wax and if microsuction is therefore necessary. If there is wax, we will remove the ear wax expertly using a low power medical suction unit with a tiny, sterile 2 mm suction tube on the end. This is so gentle, it feels like barely even a kiss on the cheek. Sometimes, despite applying Earol for several days, the ear wax is too stubborn to be removed by microsuction, so we may use special disposable instruments, such as a Jobson Horne Probe, or a St Barts or Rosen Cerumen Hook. Whatever method we use, you safety is our top priority at all times. If you would like to book a microsuction appointment in Enfield, click here. Our prices (see below) are the lowest in North London! You can find our private ear wax removal Barnet location here. You can get directions to private ear wax removal Barnet from Google Maps here. Book your private earwax removal appointment in Barnet, and say goodbye to ear wax! Our private ear wax removal clinic in Barnet also serves clients in London, EN5, Arkley, Borehamwood, Edgware, Totteridge, Whetstone, Osidge, Mill Hill, Potters Bar, South Mimms, North London, Southgate, Oakwood, Winchmore Hill, Enfield, Hadley Wood, Cockfosters, Finchley, Dancers Hill, Ponders End, Southgate, High Barnet, Chipping Barnet, East Barnet, and South Barnet. Barnet is both the name of both the town and the London borough. Within the borough of Barnet, you can also find Arkley, Hadley, Barnet Gate, Mill Hill, Brent Cross, Church End, Friern Barnet, Whetstone, Osidge, Hendon, Finchley, Golders Green and Edgware. Barnet is itself split into High Barnet, Chipping Barnet, East Barnet and New Barnet. We also have ear wax removal clinics in Edgware, Golders Green and East Finchley, making Barnet one of the best served places for ear wax removal. Barnet is twinned with nine cities around the globe, including Jinja in Uganda, Barnet in Vermont, and Tempelhof-Schöneberg, in Berlin.. It is a widely held belief that none other than Charles Dickens used to enjoy the occasional drink at the Red Lion public house, which you can find on Barnet Hill, not far from our clinic. Being familiar with the area, in the novel Oliver Twist, the main character met future villain The Artful Dodger on Barnet High Street. The England 1966 Football World Cup winning team spent the evening before the big day watching ‘Those magnificent men in those flying machines’ at Hendon cinema. "Barnet", the cockney rhyming slang for "hair" (in full "Barnet Fair"), refers to an annual horse and pleasure fair held near Mays Lane in Barnet, on the first Monday in September. The Fair still takes place over three days and operates under its royal Charter which is issued by Barnet Council. The focus in the present-day Fair is no longer on horses but rather fairground rides. The fair began in 1588 when Queen Elizabeth I granted a charter to the Lord of the Manor of Barnet to hold a fair twice yearly, in addition to the weekly Barnet Market. In 1834, The Times reported that Barnet Fair was England's largest cattle market, with up to 40,000 animals on display. The site of High Barnet London Underground station used to be where horse races were held during Barnet Fair, from the eighteenth century until 1870 when the station was built. Back in the 12th century High Barnet was founded by monks from St Albans Abbey. In those days they called the place "Bernet". King George's Fields: A beautiful and peaceful spot right in the centre of Barnet with amazing views of London. The Spires: A cosy shopping centre with plenty of eateries and shops under one roof. Ye Olde Mitre Inne: A 17th century coaching inn with an amazing interior. It was here that Charles Dickens took inspiration for parts of Oliver Twist. Old Court House Recreation Ground: Charming gardens and an ideal place to recharge and relax. Monken Hadley Common: An inspiring open space with woodland and a lake, perched in Barnet on the edge of London. We provide the most affordable ear wax microsuction service in Bernet, provided by HCPC-registered Audiologists and NMC-registered nurses. We take payment for the appointment up front - we are sorry that we have to do this, but many patients have booked and not turned up, which is frustrating for other patients who cannot get an appointment. You can find our private ear wax removal london EN5 location here. You can get directions to private ear wax removal london EN5 from Google Maps here. Book your private earwax removal appointment in North London, and say goodbye to ear wax! Our private ear wax removal clinic in London EN5 also serves clients in London, Barnet, Arkley, Borehamwood, Edgware, Totteridge, Whetstone, Osidge, Mill Hill, Potters Bar, South Mimms, Southgate, Oakwood, Winchmore Hill, Enfield, Hadley Wood, Cockfosters, Finchley, Dancers Hill, Ponders End, Southgate, High Barnet, Chipping Barnet, East Barnet, and South Barnet. We provide the most affordable ear wax microsuction service in London EN5, provided by HCPC-registered Audiologists and NMC Registered Nurses. We take payment for the appointment up front - we are sorry that we have to do this, but many patients have booked and not turned up, which is frustrating for other patients who cannot get an appointment. If there is wax, we will remove the ear wax expertly using a low power medical suction unit with a tiny, sterile 2 mm suction tube on the end. This is so gentle, it feels like barely even a kiss on the cheek. Sometimes, despite applying Earol for several days, the ear wax is too stubborn to be removed by microsuction, so we may use special disposable instruments, such as a Jobson Horne Probe, or a St Barts or Rosen Cerumen Hook. Whatever method we use, you safety is our top priority at all times. If you would like to book a microsuction appointment in London EN5, click here. Book your private earwax removal appointment in North East London, and say goodbye to ear wax! Our private ear wax removal clinic in London also serves clients in London, Enfield, Winchmore Hill, Palmers Green, Bounds Green, Wood Gree, Alexandra Palace, Turnpike Lane, Bush Hill Park, Southbury, Freezy Water, Chase Side, Gordon Hill, Botany Bay, Worlds End, Oakwood, Winchmore Hill, Barnet, Ponders End, Southgate, Waltham Cross, Waltham Abbey, Cockfosters, Arnos Grove, Potters Bar, Cuffley, Cheshunt, Chingford, Loughton, Buckhurst Hill, Woodford, Chigwell, Walthamstow, Wood Green, Harringay, Goff's Oak, and Northaw.